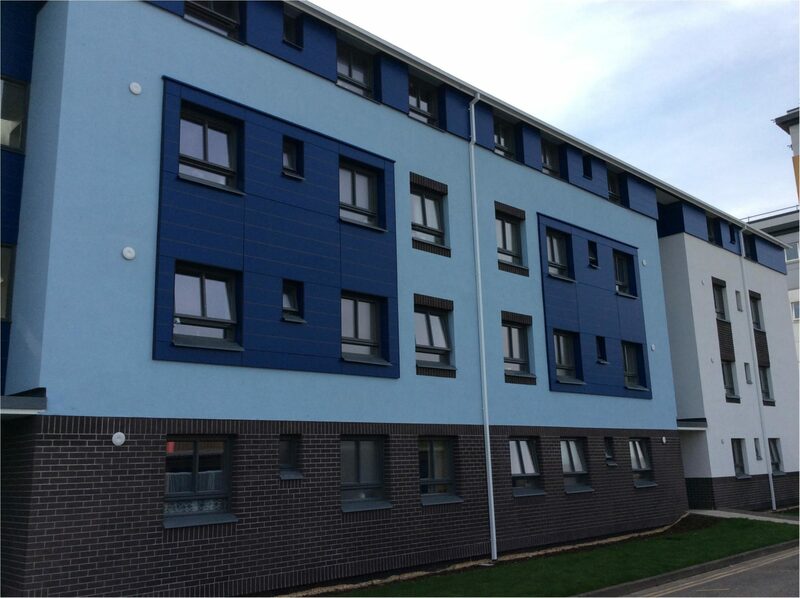 The Sterte Court development comprises of 20 apartments over four storeys, 18 of which belong to RSL, Poole Housing Partnership (PHP) with the remaining two occupied by private lease holders and incorporate sustainable, energy-saving materials. 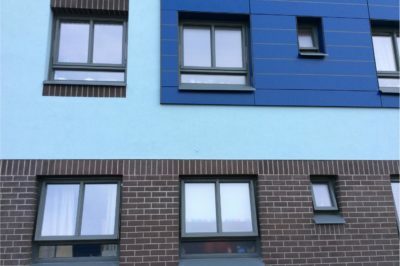 Poole Housing Partnership is an arm's length management organisation (ALMO) which was set up under the Government's scheme to bring investment for improvements to homes across the Borough of Poole. The 60 year old buildings, constructed with rendered concrete wall panels on a concrete frame, had poorly insulated solid walls. 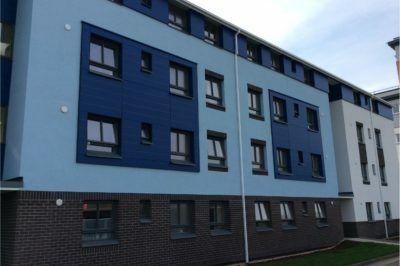 The refurbishment scheme was undertaken by Keepmoat who were appointed as main contractors by Poole Housing Partnership. This unique design and striking aesthetical appearance was coordinated with the client and Michael Dyson Associates who took responsibility as architects and structural engineers on the contract which has become a focal building visual from the A350 leading into Poole City Centre. This refurbishment provided many challenges to the skill set of contracted companies mainly that of Plymouth based approved contractors C&P Plastering, who working in partnership with Keepmoat the principle contractor, utilised local labour for the application. 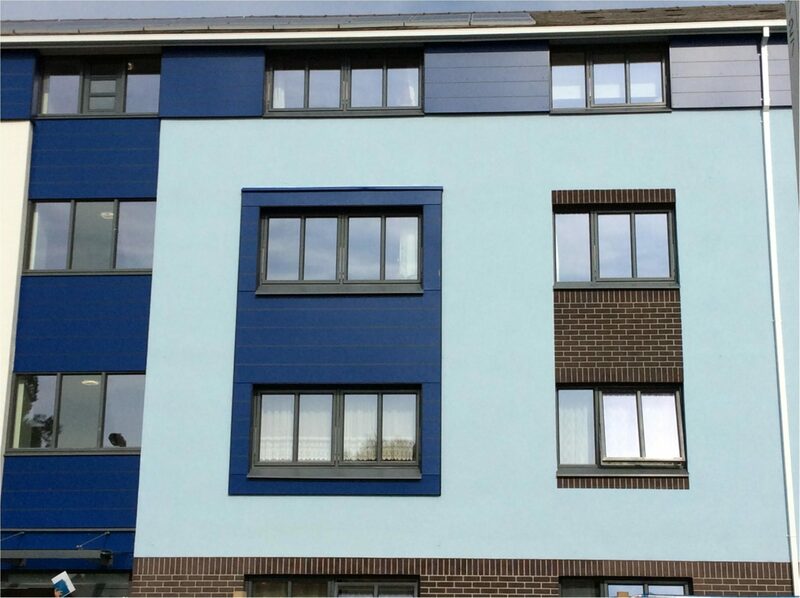 With a variance of external wall insulation finishes this utilised the SPSenvirowall BBA approved render solutions and finishes and required the technical abilities of the design team from all companies to interface these abutment details amongst others accordingly. 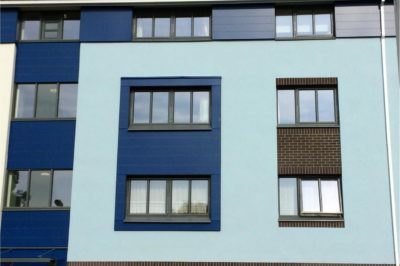 The £200,000 facade package utilised a high performing silicone render topcoat with coastal colouring and the use of the innovated Brickrend system creating the Staffordshire Blue brick effect finish from a mineral render product. SPSenvirowall ensured that the customer received a continuity of materials and was provided with full technical monitoring to satisfy the requirements of the architect and structural engineer and met the needs of quality assured national warranties who provided the 25 year ECO warranty. The living environment of the residents of Sterte Court have been much improved in appearance and provided them with homes which are warmer in the winter and cooler in the summer, whilst reducing energy costs with a new U-value calculation of 0.25w(m2k), a huge improvement from the initial 2.5w(m2k). In the process of this scheme, SPSenvirowall was also able to provide two local residents with sustainable full time employment with Keepmoat. The scheme was completed successfully at the end of March.